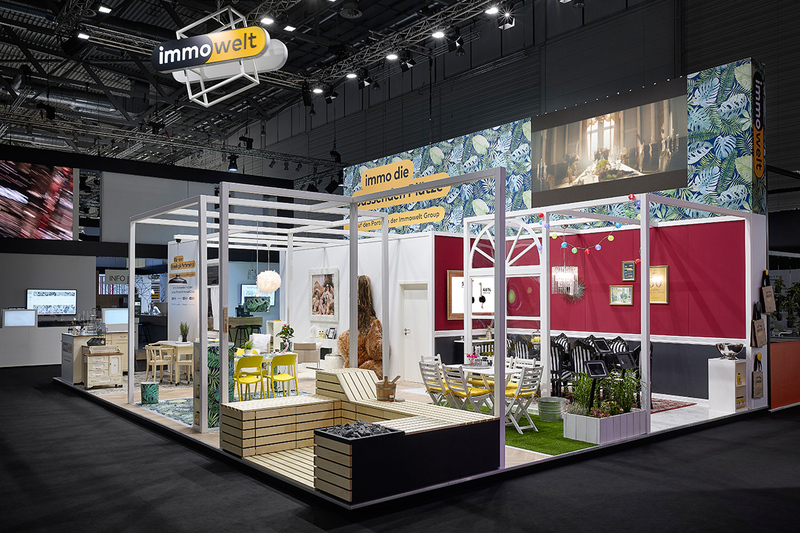 We built the fair booth for Immowelt in the style of a viral and very successful ad-campaign music video. 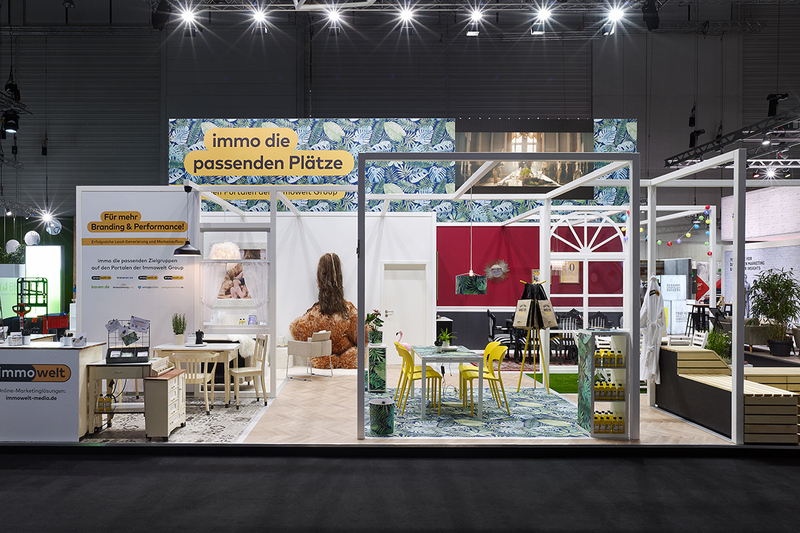 From a sauna area with a tattooist over a cosy room to a palace with an adjacent terrace, all the individual living spaces from the ‘film at the trade fair’ were experienced by visitors who appreciated the overall effect and the attention to detail. Our service: Revision of the design, detailed design, construction information and construction of the exhibition stand plus lighting and audio-visual technology.